Earlier this month, I participated in the Simple Scrapper Start Fresh planning event. The five-day online event was designed by Jennifer Wilson to help us "create a meaningful 2015 plan and launch into a joyful year of memory keeping." For me, memory keeping and scrapbooking are always FUN, so my main interest in the class was to get organized and create a plan to review the online classes I've purchased the past few years (especially those at Big Picture Classes that are not transferring to the new site) and complete several ongoing projects along with a couple of new projects on my wish list! I have to admit that I am not planning to sign up for many classes this year because I want to focus on these other goals and because I've signed up for classes in the past that I did not participate in or complete. I set aside time during the Start Fresh event so that I could participate each day by reading the handout, listening to the audio, filling out the workbook and planner pages, and interacting in the private event Facebook group. After a week or so of pondering the ideas presented, I reviewed all the materials again and refined my plans for the year. First, here are my thoughts on the event itself. *The five-day event was very well structured and organized, which of course fit right in with my born-organized self! It was well-paced and easy to follow along each day. *The 79-page workbook/planner is a great tool for reviewing and assessing past memory keeping accomplishments and challenges and creating a prioritized plan for the coming year. *I am not a fan of Facebook groups for class interaction, however Jennifer included the event logo on the official discussion posts so they were easy to locate. This made is easy to read other participant's responses and add my comments. *The event included daily prompts to gather journaling, materials, and a photo for a layout about scrapbooking, however I chose not to work on a layout as I've got a series of layouts about my scrapbooking journey planned for this year. I did, however, use Jennifer's prompts to add to my notes for that series. *I think this event (& the two month's free membership) was a good value at only $19 and was definitely worth the time I invested in it! 1. Creating a list of layouts needed to complete large projects like my chronological and theme albums. I've started the year by making a list of layouts needed to complete my 2011 chronological albums. 2. Scraplifting and using other layout design INSPIRATION helps me complete layouts.At this point, I don't really need INSPIRATION designed to help me tell stories as I have an extremely long list of stories I want to scrap! 1. While I am using lots of paper and products on my pages, I am rarely pulling my color bins out when I scrap. These bins have worked great for me in the past, but it's time to re-organize and sort these bins in a way that provides renewed INSPIRATION. 2. My digital workflow has become a chore that I'm not keeping up with. I decided to modify and simply the process for this year, omitting tagging photos (as I rarely use those tags) and creating a few digital layouts along the way (decreasing the number of photos going into my storage binders). After completing the workbook, I have a list of projects I want to work on/complete this year, prioritized by importance as well as my excitement and enthusiasm for the project. 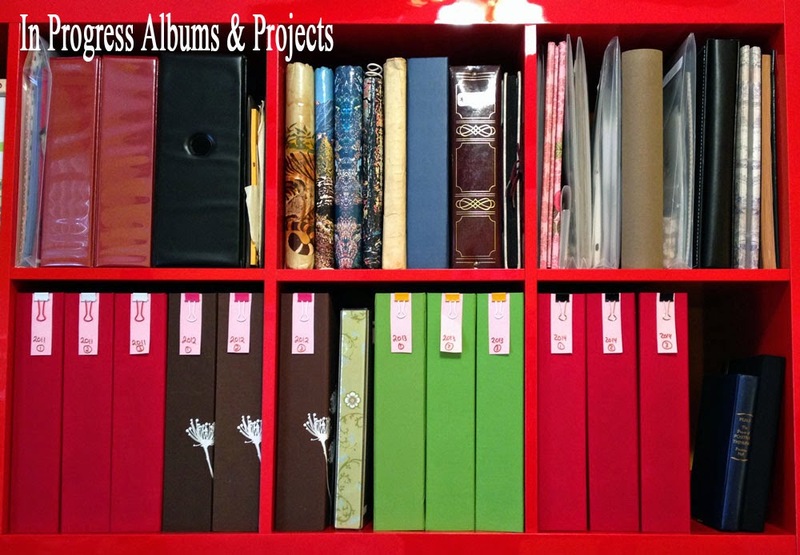 My first projects for the year are completing the 2011 chronological albums (I've already made 10 layouts toward this goal!) and completing my 2014 digital workflow (I have less than two months of photos to work through!). I'm so glad I participated in the Start Fresh event and am looking forward to lots of creative accomplishments this year! I participated in the Start Fresh event and got a lot out of it! I especially liked the questions of introspection and began that part of the event several days before the start, so I would have time to let the questions germinate a bit before answering. I have already started using some of those questions again in other areas of my life. I also appreciated Jennifer's guidance on daily/weekly/monthly reoccurring items and seasonal perspectives, too. Those things really helped me reframe my view of tasks and made their completion more realistic. 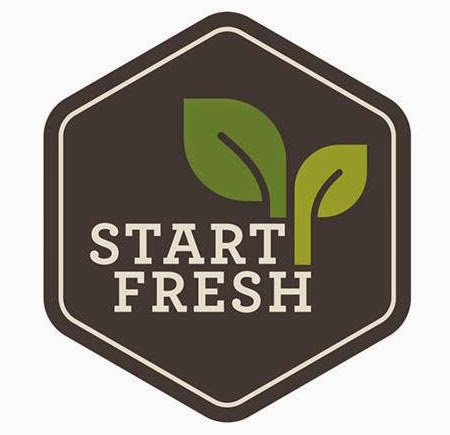 I've never even heard of Start Fresh, but it sounds like a great class to get organized. My creative goals for the year are to learn calligraphy and finish my 2010 album. I also need to visit my photos from 2011-2014 and make a list of layouts I want to make. Melissa, follow your blog daily but do not always have time to add a comment. Love all the new things you are doing and how intentional you are! Have you seen the messages coming from the LOM Community? I'm not sure if you are on Facebook but I was wondering about starting a LOM group on FB. It was such a great group of people and it would be a way to stay in touch. Do you know if the phrase LOM/Library of Memories is copyrighted by Stacey? Let me know what you think. I'm in awe of your organisation, no doubt about it. After reading this I wish I had participated in that event. I had signed up for one last class at BPC to kick start my Project Life for the year. But I found that the class was really geared toward beginners, so there was nothing new in it for me. How I wish classes would be rated for level of difficulty/experience of the participants. This also makes me realize that I would not gain much by going back over old classes. My creative plans for 2015 is to get a lot more layouts done just for me. 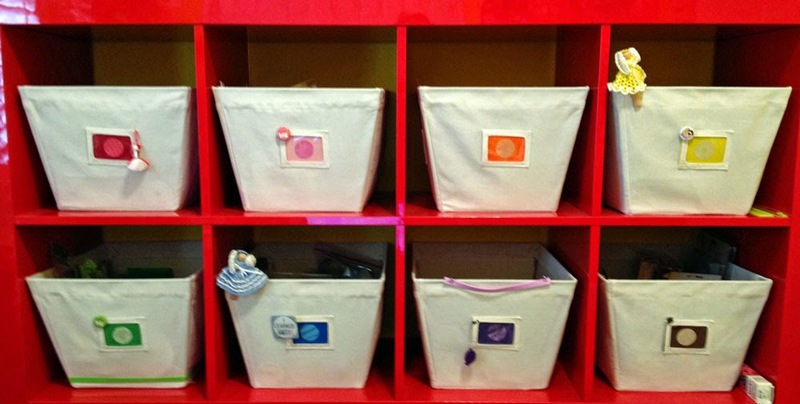 I am interested to see how you are going to reorganize your color bins - maybe by kitting up supplies from time to time (wink)? I belonged to Simple Scrapper for over a year, but it was too slanted toward digital scrapbooking which I've never adopted. Jennifer is a great instructor, though, and I downloaded many wonderful templates and ideas during that time. You made wonderful use of these materials, and should be ready to roll now! This is really interesting to me because I plan to focus on scrapbooking this month, and I definitely need to plan/organize (as well as do).